Real estate professionals can get educated about BPO's in our virtual coaching platform that is completely self-guided, content-rich, updated and available 24x7. You no longer have to learn by using your own "trial & error" methods. Why try to "recreate the wheel" when we've already figured it all out for you! Do yourself a BIG favor and sign-up today so that you can start benefiting from our industry trusted, proven easy-to-follow and understand courses and programs. 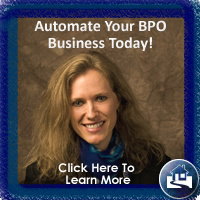 If you want to learn how to do a better BPO, how to increase your BPO income and monthly volume by incorporating BPO Automation software or you want to figure out just how to turn your BPO business into a profit center then you have come to the right place! All "BPO Inner Circle" step-by-step coaching courses and programs offer students a virtual learning environment that is entirely self-serve. Students are in direct control to choose when, where, how and what methods they want to learn more about the BPO industry. Disclosure: At this time, this site is available for free only for existing BPO Automation Group "AutoFill subscribers" and/or BPO University customers. We also offer our live classes and group coaching in our "BPO Training Center" that is located in Miramar Beach, Florida.